First Aid Course – Can You Help? 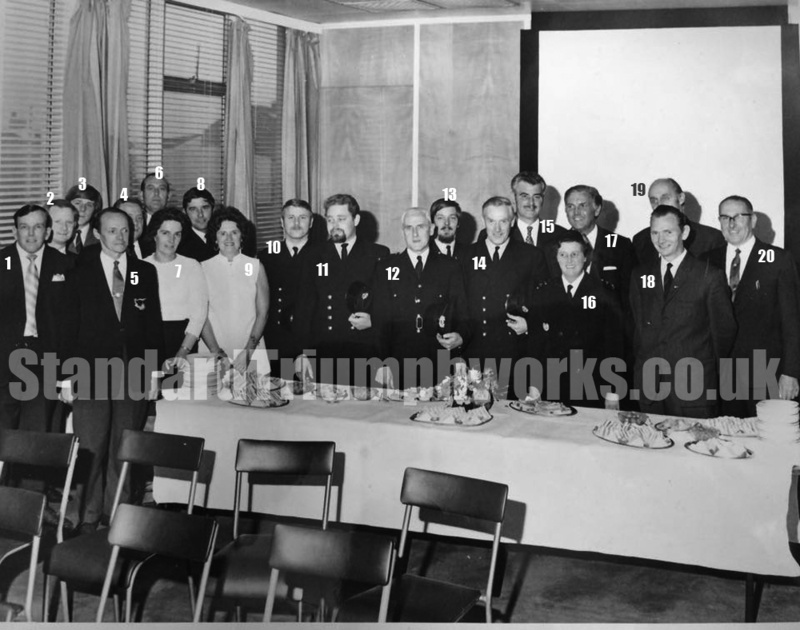 A photograph from a First Aid Course featuring the Standard Triumph Fire Service and a number of other attendees. Can you help identify anyone? The photo came with written text on the rear identifying the Firemen and a couple of others, which we have tried to positively identify. We have numbered everyone to make this process easier.